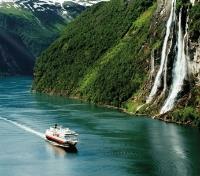 Cruise through picturesque fjords on a 6-night cruise. Embark on a rail journey into Norway’s snow-capped mountains. 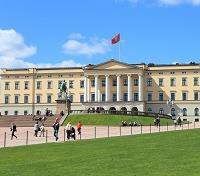 Private guided walking tour through historic Oslo. 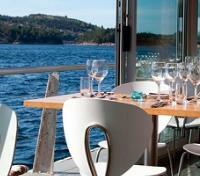 Dinner excursion by boat to a renowned seafood restaurant near Bergen. Embark on an adventurous voyage on land, rail and sea through the mystical natural wilds of the fabled Norwegian archipelago, into the Arctic Circle & onto the land of the Midnight Sun. 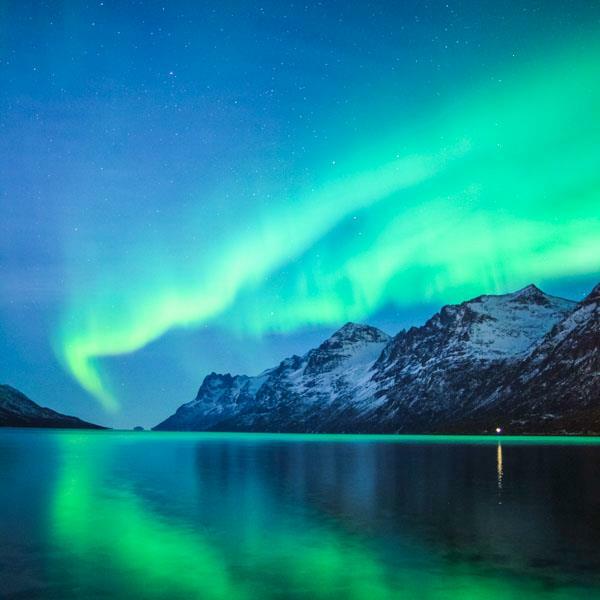 Expose yourself to Viking lore, awe-inspiring UNESCO World Heritage-listed fjords, quaint fishing villages, bustling markets & sparkling glaciers as you cruise aboard a ship that's specially adapted for graceful travel through the whims of the arctic. 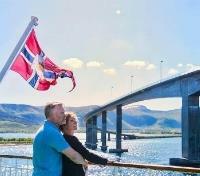 Cruise between Bergen, Geiranger Fjord, Alesund, Trondheim, the North Cape, the Arctic capital of Tromso, Kirkenes, all following a discovery of cosmopolitan capital, Oslo, with a private guide. Take a traditional boat ride from Flam to Gudvangen that winds around precipitous mountains, mighty waterfalls and small homesteads that cling to the mountain sides. Half of your voyage will be through the majestic Naeroyfjord, a UNESCO World Heritage-listed arm of the Sognefjord, co-ranked as the world's number one natural heritage site by the National Geographic Society. Meet your private driver and vehicle for a transfer to Stalheim. Approximate travel time is 10 minutes. 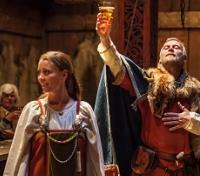 A number of optional activities are available to you during your stay in Stalheim. From walks and hikes just outside the door of your hotel, to adrenaline-pumping white water rafting in the rivers near Voss. Please note, these activities are optional and not included in your itinerary. If you'd like to add an activity during your stay here, please speak with your Destination Expert. Dating back to 1885, the Stalheim Hotel has dazzled generations of travelers to Western Norway with an incredible view over the awe-inspiring Nærøy Valley. 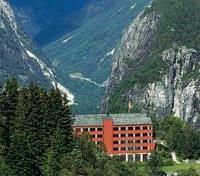 In total, Stalheim Hotel boasts 124 comfortable guestrooms, all with their own stunning views. 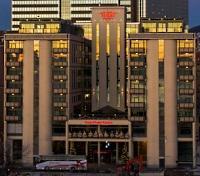 The on-site restaurant boasts traditional Scandinavian style buffets for breakfast, lunch and dinner, while a bistro is available for lighter bites or drinks. Whether your prefer to relax on the hotel’s terrace garden and let the nature come to you, or you choose to take advantage of the many hiking trails starting in Stalheim, immersion with the grand nature that surrounds the hotel is, intentionally, unavoidable. Board a shared bus for a transfer to Voss. Approximate travel time is 30 minutes. 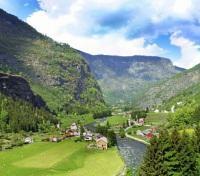 Transfer by train from Voss to Bergen. Approximate travel time is 1 hour and 15 minutes. Enjoy a gorgeous, half-hour boat ride from Bergen’s harbor through the archipelago and out to tiny Holmen Island, where you'll arrive to one of Norway’s best restaurants, Cornelius Seafood Restaurant, for an included 3-course dinner. On arrival, a delicious welcome drink will be provided, along with a short presentation. Cherish the spectacular views of the fjord, mountains, rocky islands and passing boats and ships as you dine on your delicious meal. Inspired by the weather and the catch of the day, Cornelius serves its famous Meteorological Menu of exquisite seafood and trimmings, prepared using innovative culinary techniques and with a genuine passion for seafood. Open all year round, the restaurant creates a unique ambiance, with open air dining and lighter dishes in the summers, and a cozy fireplace and stronger flavors in the winters. After your meal, board the boat for your return back to Bergen's harbor. Take some time to get settled in to your stateroom and to explore the length of your ship. Your voyage will begin shortly. Be sure to bring your spirit of adventure, as your planned route may change based on season, and sailing conditions. Let your Captain navigate you on a magnificent journey. 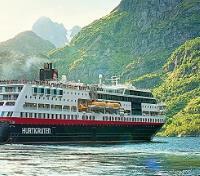 The 970-passenger MS Midnatsol is a purpose-built vessel, perfectly suited for the Norwegian Fjords, as well as chasing the Arctic's polar light. Featuring a modern style and strong environmental profile, comfort is served up in spades on your home on the sea. Select from a range of staterooms, from cozy outside cabins up to spacious suites on the upper deck with plenty of natural light. Onboard facilities include a bistro, main dining restaurant, sauna, fitness room, hot tubs, bars, and a two-story panoramic lounge. The ship has her own onboard Expedition Team and serves as a university at sea. Interesting lectures, presentations and activities inside as well as out on the ship's sun deck make this an exciting and educational journey. The ship is wifi-enabled, for you to stay connected while at sea. If you wake up early the today, you can enjoy the breathtaking beauty of the Nordfjord. As you sail past the West Cape, your ship enters the open ocean before navigating through skerries and islands to reach Ålesund. Distinguished by its numerous spires, towers, and ornate buildings, Ålesund is renowned for its beautiful Art Nouveau architecture. A devastating fire in 1904 burned a large proportion of the city to the ground, and it was rebuilt in the fashionable style of the time: Art Nouveau. In the summer months, you'll set course for the spectacular UNESCO-listed Geirangerfjord, passing steep, 2,500 foot cliffs and impressive waterfalls along the way. In autumn, voyage through the Hjørundfjord, situated amid the majestic Sunnmøre Alps. Far from the tourist hustle and bustle, its seclusion and unspoiled natural landscape are what give this fjord its special character. Glide past steep rock walls that you can nearly reach out and touch, emerald-green meadows, lonely mountain farms, and small villages. A number of optional shared shore excursions are on offer today, depending on the season. 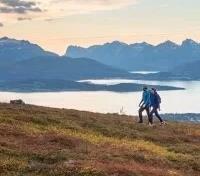 Get a taste of classic Norway in Hjorundfjorden, take a mountain hike in the Hjorundfjord, go on a hike with a visit to a farming hut, take an Art Nouveau walk in Alesund, visit the Alesund aquarium and Mount Aksla, or explore Geiranger with Trollstigen Pass. Please note, optional excursions are not included as part of your cruise itinerary. In order to pre-book and secure your spot, let your Destination Expert know if any of these activities are of interest. You're likely to make brief stops at Kristiansund, Trondheim and Rorvik today, as you continue to sail through the magnificent fjord system. 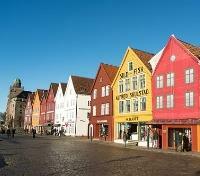 The medieval city of Trondheim is Norway's third largest city, and was founded by Vikings back in the year 997 AD. 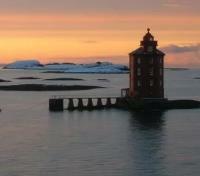 In the afternoon, the ship sets a northwest course, passing the beautiful Kjeungskjær lighthouse and numerous islets and rocky reefs. After passing through the narrow Stokksund, the ship heads toward charming Rørvik. A number of optional shared shore excursions are on offer today, depending on the season. 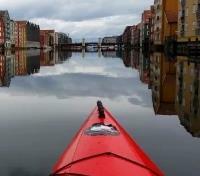 In Trondheim, join a city walking tour, a city tour by bike, visit Trondheim and the Nidaros Cathedral, see the Ringve Museum & Nidaros Cathedral, or kayak on the river Nid. Please note, optional excursions are not included as part of your cruise itinerary. In order to pre-book and secure your spot, let your Destination Expert know if any of these activities are of interest. Today you'll cross the Arctic Circle! This invisible line is situated at 66 degrees, 33 minutes North and demarcates the Arctic region. In summer, this means enjoying 24-hour daylight and the midnight sun. During winter, this latitude provides the best chances to experience the northern lights. Even if you aren’t awake when the ship crosses the Arctic Circle, the captain will make sure that the occasion is memorable: If you are sailing in Arctic waters for the first time, you can participate in a daytime Arctic Circle ceremony out on deck. Later in the afternoon, spot the 3,000 ft high Lofoten Wall on the horizon. Tucked between tall mountains, majestic granite cliffs, and white-sand beaches, seeing beautiful Lofoten is a truly extraordinary experience. 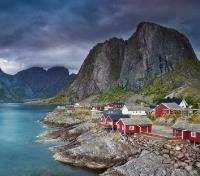 The additional charm of the Lofoten Islands is revealed in its small, picturesque fishing villages with their bohemian atmosphere. Take a stroll between stockfish racks and traditional fisherman’s huts called ‘rorbuer’. A number of optional shared shore excursions are on offer today, depending on the season. Visit the Svartisen Glacier, take a RIB safari to Saltstraumen, explore Bodo and Saltstraumen, join a 'meet the vikings' experience, discover the Highlights of Lofoten, visit the Lofotpils brewery, or make a farm visit in Lofoten. Please note, optional excursions are not included as part of your cruise itinerary. In order to pre-book and secure your spot, let your Destination Expert know if any of these activities are of interest. 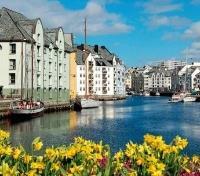 During the morning hours, you'll briefly dock at Risøyhamn, Harstad, and Finnsnes. 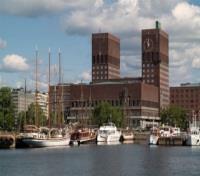 The ship then proceeds to Tromsø, the capital of the Arctic, for a prolonged stay where a multitude of options to explore the area are available. 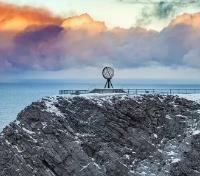 After an exhilarating day in Tromsø, continue your northbound journey. The ship is now sailing into waters where you have the best chance of seeing the northern lights between September and March. Gather on deck to search the skies for this remarkable cosmic phenomenon. A number of optional shared shore excursions are on offer today, depending on the season. Explore the arctic capital of Tromso, go dogsledding, take a scenery & huskies tour, enjoy a polar history walk, kayak in Tromso, go silent whale exploring, cross-country ski, snowshoe, or go on a Sami adventure. Please note, optional excursions are not included as part of your cruise itinerary. In order to pre-book and secure your spot, let your Destination Expert know if any of these activities are of interest. Enjoy magnificent sub-Arctic landscapes as you cross the 71st parallel on our journey toward the North Cape, one of the northernmost points on the European continent. 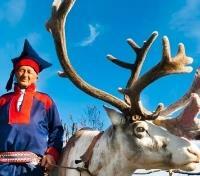 In summer, you may see herds of grazing reindeer and small camps belonging to the indigenous Sámi people. After a brief, early stop in Hammerfest and Havøysund, the ship arrives in Honningsvåg, the gateway to the spectacular North Cape. The ship then continues north, sailing into the heartland of the indigenous Sámi people, passing their ancient sacred site, the rock formation of Finnkirka, as the ship approaches the fishing village of Kjøllefjord. A number of optional shared shore excursions are on offer today, depending on the season. Explore the North Cape, go on a birdwatching safari, discover northernmost life in Honnigsvag, visit a fishing village, discover Sami culture, take a snowmobile trip in the Arctic, explore the Sami autumn, or enjoy a winter expedition in the Arctic wilderness. Please note, optional excursions are not included as part of your cruise itinerary. 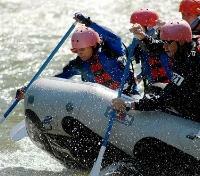 In order to pre-book and secure your spot, let your Destination Expert know if any of these activities are of interest. Arriving to Kirkenes this morning, you'll disembark from your ship, bidding the crew a fond farewell. Meet your taxi driver for a private port transfer.